The 570GT will attract more women customers, McLaren hopes. LONDON -- McLaren Automotive said the fall in the value of sterling since Britons voted to leave the EU was benefiting the company financially. The Brexit referendum result caused the pound to fall against other global currencies including the dollar. "We sell about 70 percent of our cars into either dollar markets or dollar-denominated markets so that brings increased revenue," CEO Mike Flewitt told reporters at a news conference Thursday. "So as we look forward, and if everything just stayed as is, actually probably a slightly beneficial situation financially," he said. McLaren exports more than 90 percent of its sports cars. In 2015, Mthe company sold a record 1,654 cars, with prices ranging from about 120,000 ($157,000) pounds to more than 800,000 pounds ($1.04 million). Flewitt said McLaren sources 50 percent of its parts in value from the UK, including engines, with another 20 percent to 30 percent imported from continental Europe. He said there was still much uncertainty surrounding Britain’s future relationship with Europe. "The key thing is what happens next, and that’s what nobody knows,” he said. "We need open trade and we need free movement of people." The company said on Thursday it was on course to double its sales volumes in 2016, but posted a drop in profits last year. The firm blamed interest costs and foreign exchange fluctuations for a 64 percent fall in pretax profit to 5.4 million pounds ($7.2 million). 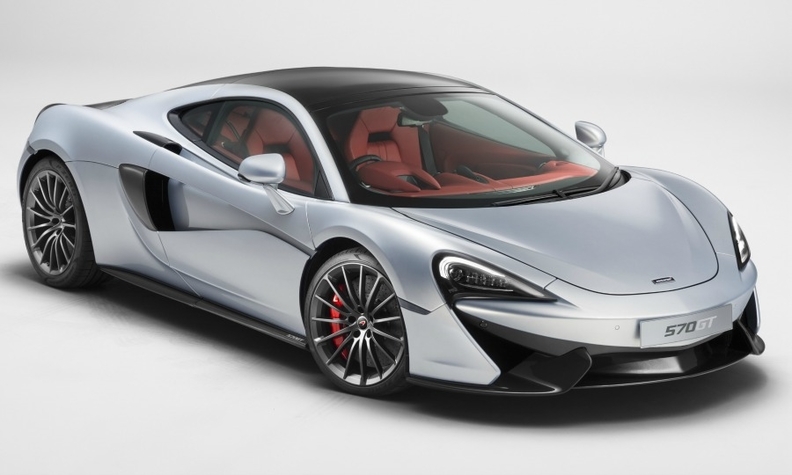 McLaren unveiled its 570 GT model earlier this year and has been ramping up its production and model line-up, expanding in a market segment traditionally dominated by rivals such as Ferrari and Aston Martin. "The launch of the Sports Series opens McLaren up to an entirely new audience and will be pivotal in developing our sales volumes from the 2015 levels of 1,600 to nearly triple that number by 2020," Flewitt said. The company is hoping to broaden the brand's appeal to new types of buyers, including more women, particularly with the 570 GT.